We know it can be difficult for customers to make arrangements to get their bikes to us, running or not. We offer a pickup and delivery service anywhere on the coast. Contact us regarding, not listed in orange, or if you have question about transporting bikes from one location to another. Buying a bike on eBay or Craigslist, but need to have it shipped? 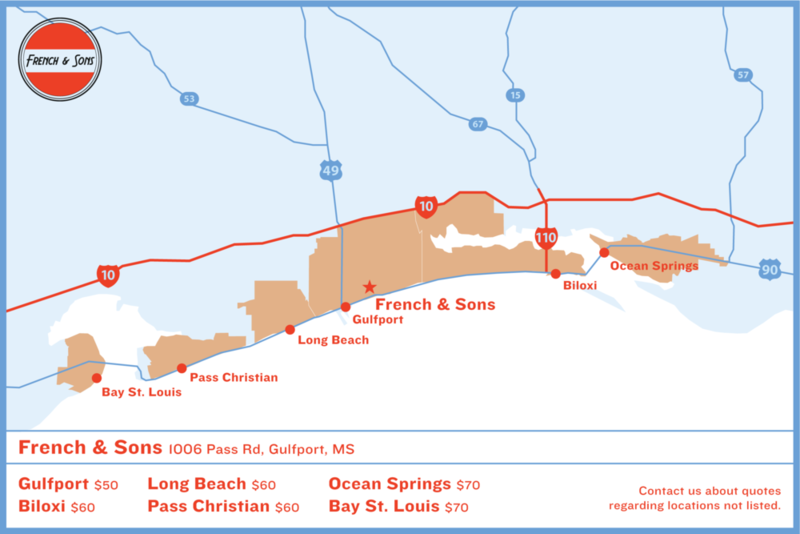 We offer pick up and deliver service across state lines in the Southeast, Gulf Coast area. Contact us if you'd like a quote! Looking to transport a bike a little further? No problem, French and Sons Motorcycles is a certified Haul Bikes dealer. 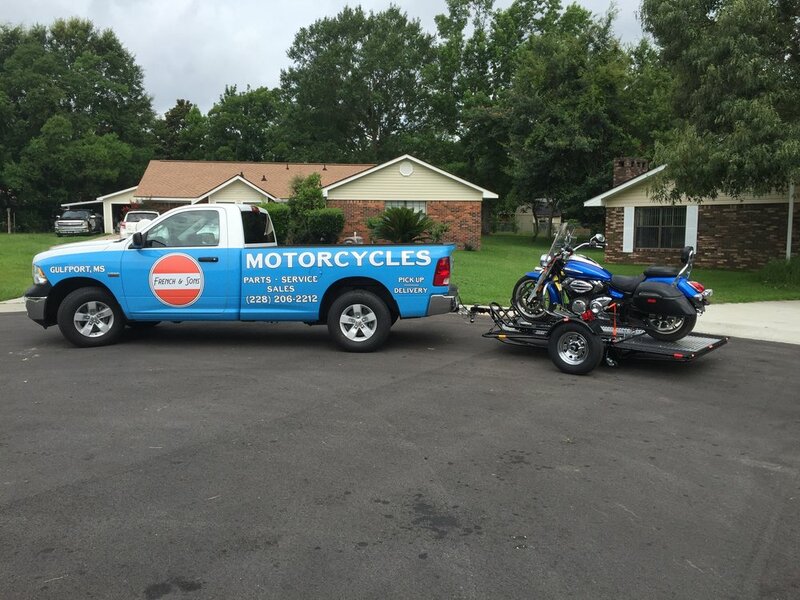 Simply drop off your bike with us, and we'll take it from there!